All women love to be given beautiful jewelry, but what they love even more is to be given jewelry that has some kind of identification with themselves. 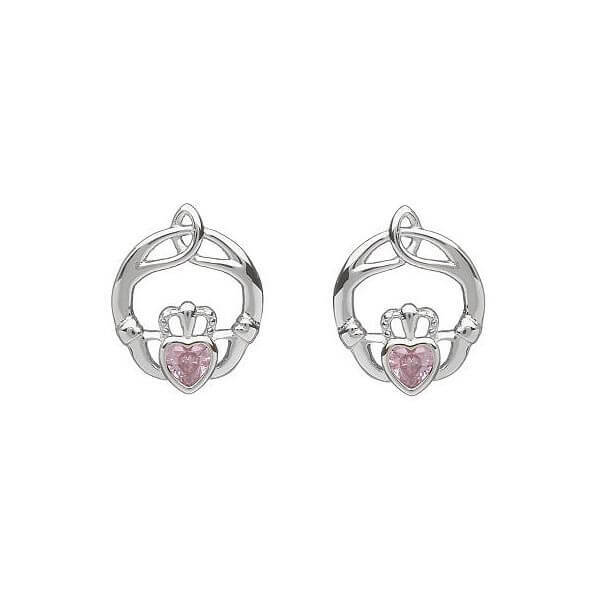 These sterling silver October Claddagh earrings will do just that for women born in October. 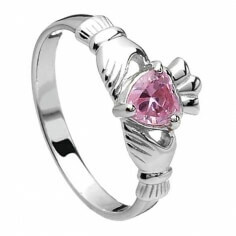 The month's birthstone, pink tourmaline, is a symbol of luck and happiness. It also is said to bring love and friends to the wearer. 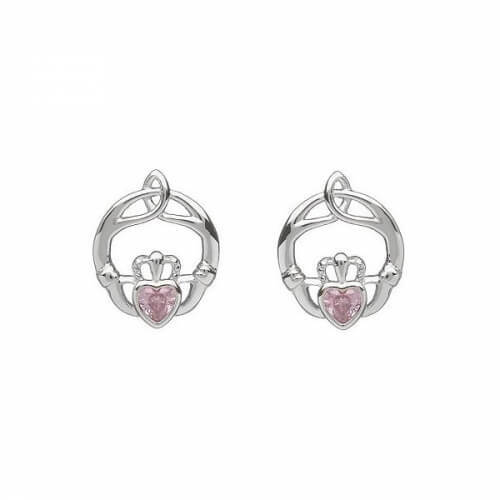 These earrings are also unique because of the crafted Claddagh design that has been engraved on them. This symbol has been resonant in Irish culture for a long time. 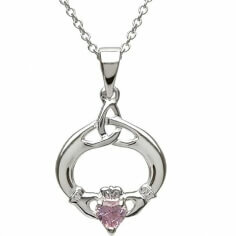 It is a symbol of love, friendship, and loyalty and is to be worn to show commitment to another person.